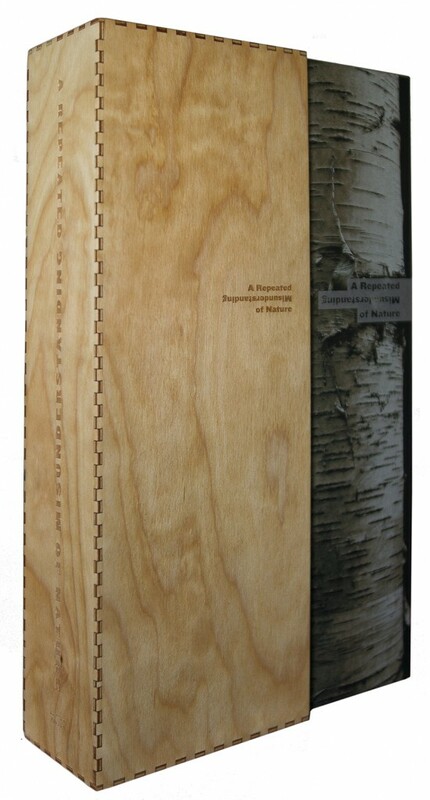 View of the laser-cut birch plywood slipcase that encloses all five leporellos of A Repeated Misunderstanding of Nature. View of title page of Volume One of A Repeated Misunderstanding of Nature. Reading view of pages 3-4 of Volume One of A Repeated Misunderstanding of Nature. 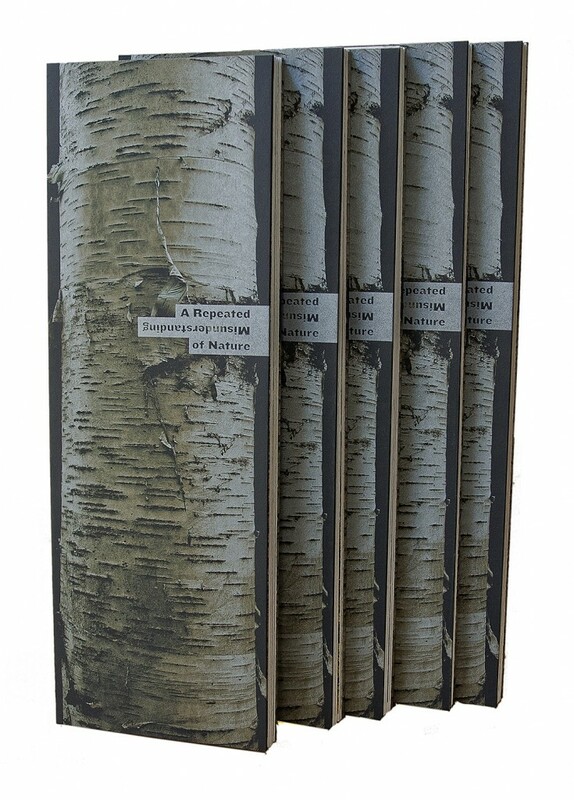 View of the covers of the five leporellos of A Repeated Misunderstanding of Nature. 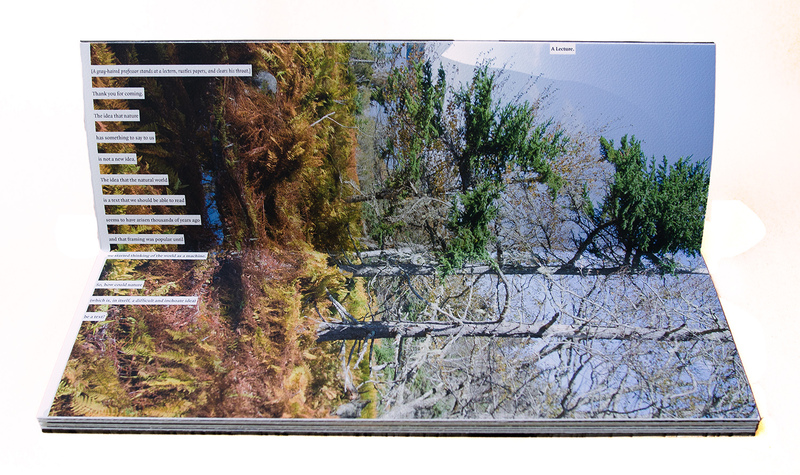 View of pages 3-4 of Volume Two of A Repeated Misunderstanding of Nature. 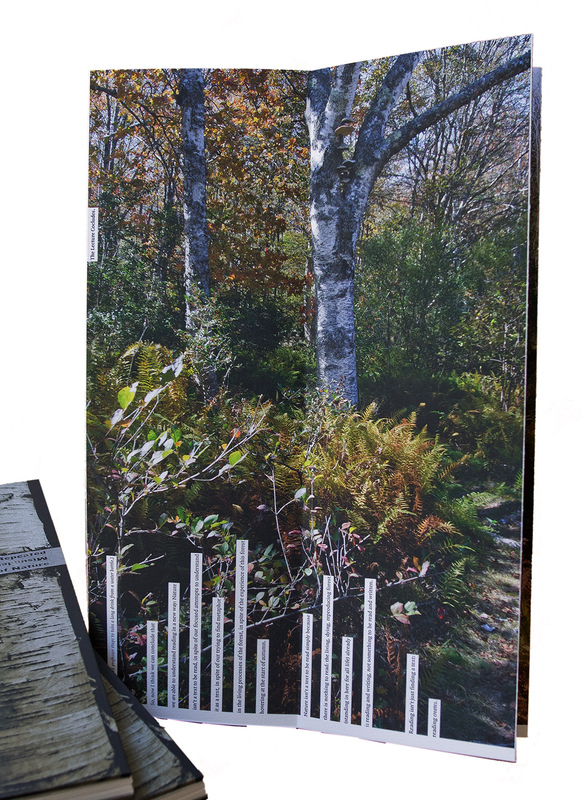 A Repeated Misunderstanding of Nature is a set of five leporello books, each presenting a sequence of woodland images from Vinalhaven Island in Maine. The border of each image includes a text from a long, imaginary lecture by a professor who—even though he sounds convinced—is actually confused about how to understand nature: he drifts between thinking of nature as something to read and nature as an anthropomorphic presence. This work was inspired by Chinese literati landscape painting, a mode of art that used images of nature as a vocabulary rather than as representation of specific landscapes. 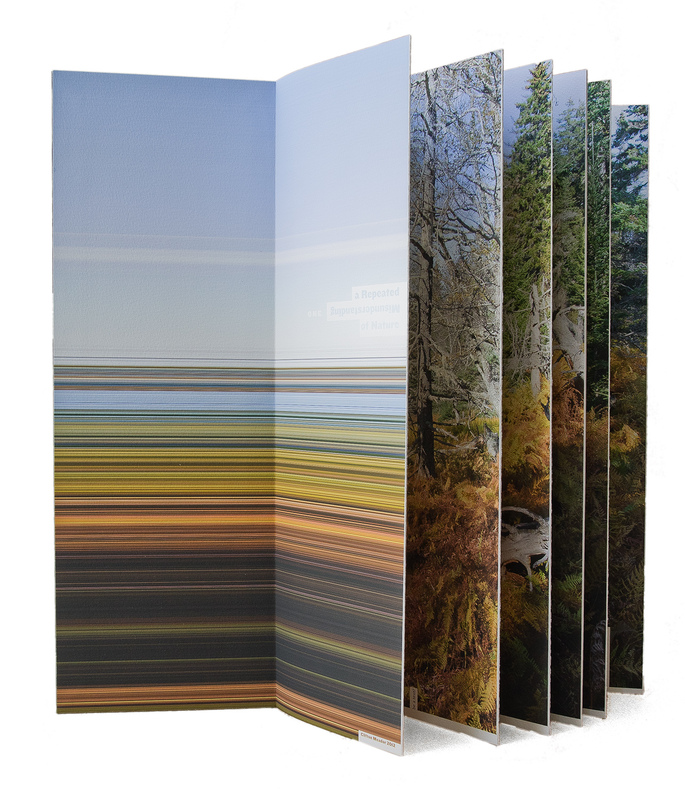 For these literati, landscape was a metaphor for personal experience: for the confused professor in A Repeated Misunderstanding of Nature, these pictures of the autumnal forests of Maine become a text that defeats reading.